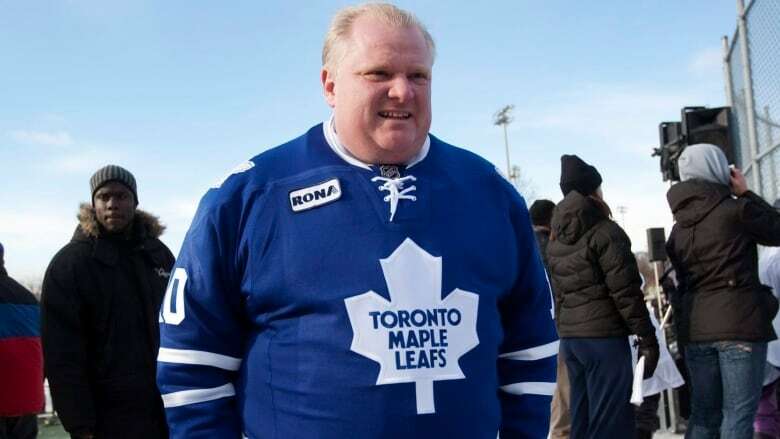 Toronto City Councillor Rob Ford has been appointed to the Hockey Hall of Fame and Museum's board of directors. Museum spokesman Kelly Masse says that Ford was elected to the board for the first time at a member's meeting on March 25. Masse says Ford won't be on the committee that selects inductees to the Hall of Fame. Councillors Mark Grimes and Stephen Holyday were also elected to the board during the meeting. Ford said in an interview on Saturday that he has a lot of experience in the hockey world and wanted to help promote the sport to children. Ford also said he played hockey when he was younger and that he would do anything he could to support the game throughout Canada. "When people call me they know they're getting someone that's experienced," he said. "I've got season tickets to the Leafs and I'm obsessed with hockey and obviously football but hockey's my number one sport and I'm going to try to just keep pushing it." Ford said he had already had his first meeting with the board and is in the process of being sworn in along with his fellow councillors. "Some people like the prestige of it, I like the action. I like rolling up my sleeves and showing up to meetings and getting it done," he said. "What I don't like is when people sign up and want to go to these boards and commissions and they don't show up." Ford added that he would attend every meeting he could, except for the months he would be in recovery following his surgery on May 11 at Mount Sinai Hospital in Toronto to remove a cancerous tumour from his abdomen. Doctors have expressed optimism that the surgery will be successful, Ford said. "It feels like I've got a thousand pounds off my back, I can obviously think a lot clearer now because when you don't know whether you're going to live or die it's not a very good feeling and I was thinking that every night," he said in a phone interview with The Canadian Press. "Obviously it was hard on my kids and we shed a lot of tears ... so now it's just I have to fight through the operation and take it from there."